On October 22, Playtech announced that the biggest Jackpot in history of the Gladiator Jackpot had been won by a player from the United Kingdom. The total Jackpot was 2,374,847.22€. Playtech's Head of Casino, Amir Askarov released a public statement in which the expressed their happiness for the player. This lucky player will surely have a very special Christmas this year. The game Gladiator is an adaptation of the movie Gladiator with Russell Crowe. It's a progressive network Jackpot, where players from multiple casinos contribute to the size by playing the game. But only one player can get it. 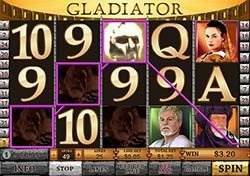 This time, the lucky player from the UK won the Jackpot playing the Gladiator slot at Winner Casino. To win the Jackpot in the game, the player had to get nine golden helmets in the bonus round. Helmets in bronze and silver reward other prizes, and are more likely. Getting all the golden helmets in the Gladiator bonus round is a win of a lifetime. The company was founded in 1999, Playtech's software is one of the most popular platforms and there are many online casinos using it. The company has earned worldwide recognition through outstanding performance and high-quality games. the game portfolio contains now over 400 games, among which there are progressive Jackpot games, slot machines, and classic casino games, such as Roulette and Black Jack. The Playtech Poker network iPoker is one of the most frequented poker networks with thousands of players. When you are playing online games on the Internet, please keep in mind the legal age and restrictions for online gambling in your country. In most countries the legal age for gambling activities is 18 years, if you are under the age of 18, or online gambling is prohibited in your country, please close this website.